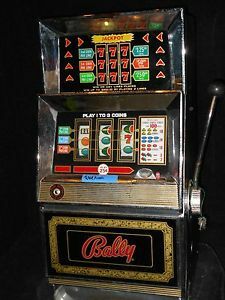 I have for sale a BALLY;S 25 CENT (BUY A PAY) slot machine. 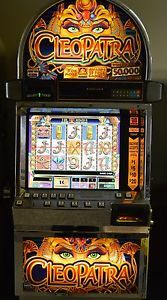 The slot machine was made in the mid to late 70s and measures about 43″ long X 16″ wide and 18″ width. The machine looks great and is in NICE SHAPE INSIDE AND OUT! and EVERYTHING WORKS ON IT! 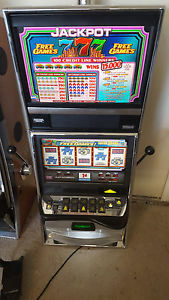 All lights work’ pays out properly‘ cabinet looks good! This is the real thing that spits out money not paper! 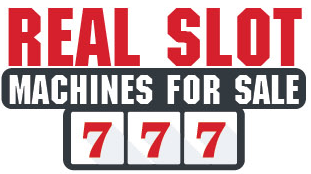 This is a very clean machine’ and chances of you finding one like this will be difficult! 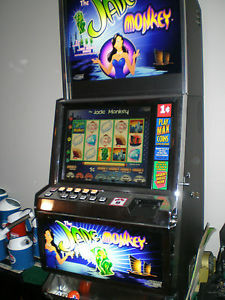 So if your looking for the altimate machine’ this would be for you! Please’ only serious inquires’ local pick up only unless you arrange your own shipping ‘then you are completely responsible for your own shipping and once machine leaves house’ I will no longer be responsible for it. 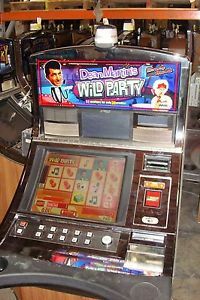 If being picked up’ I will show buyer how everything works on it’ and if not satisfied ‘ you do not have to purchase it’ but once the machine leaves the house I ‘am no longer responsible for it. Payment must be made buy PAY-PAL ONLY! or cash payment on pickup’ NO CHECKS! 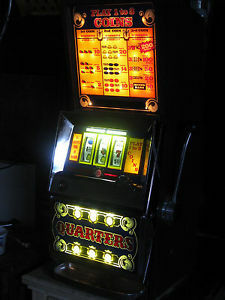 If you have any questions please E mail me or call me at (414) 3 two 9 7 eight eight 7 ASK FOR GARY ( DUE TO LAWS REGULATING THE SALE OF ANTIQUE SLOT MACHINES’ I AS A SELLER WILL NOT SELL TO MEMBERS IN THE STATES OF ALABAMA’ CONNECTICUT’ HAWAII’ NEBRASKA’ SOUTH CAROLINA’ AND TENNESSEE) BIDS FROM MEMBERS RESIDING IN THESE STATES WILL BE CONSIDERED VOID’ ALSO CALIFORNIA HAS SPECIAL REGULATIONS TOO! ( CHECK CALIFORNIA STATE LAW ) ( NOTE) I WILL NOT BE AVAILABLE FOR QUESTIONS OR BIDS ON THE WEEKEND OF MAY 19!